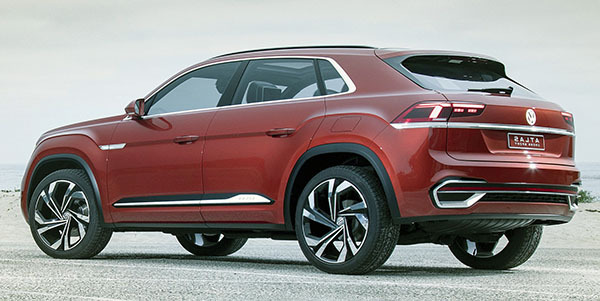 We saw the original concept almost a year ago (red car), and it is now obvious that VW is testing the real thing. The prototype still has quite a bit of camouflage. As the C-pillar and rear lights are still covered up. It also looks like the door handles on the prototype are positioned above the side crease line. Just like on the regular Atlas. Not sure why. But that also means the production Cross Sport will be closer to the regular Atlas. Let's hope they do redesign that ghastly interior by the time the new 5 seaters model comes out. As the current Atlas is really one of the worst, cheapest looking around.